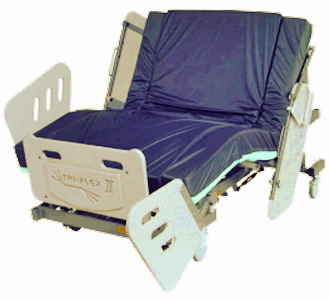 The BARIBED 1100/1200 are fully electric bariatric bed systems for patients up to 1,000 lbs. The systems allow clinicians to position patients in many positions, including trendelenburg/reverse trendelenburg. The bed platform can be extended to 48” wide for maximum comfort, and compact down for room transport. 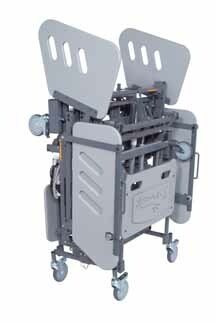 The BARIBED 1100/1200 Deck is a "critical" 5" lower than the 19" deck of many bariatric beds, yet has the ability to adjust to a 28" deck height providing a safer, easier out of bed downward transfer for the taller patient as well.